It was 1968 and Hot Wheels were the hottest new toys for boys. Mattel used all its resources for design, engineering, and tooling and was looking every where especially in the southern California area for vendors and contract people to help them. Why vendors and contract engineers, designer’s etc? Because they just did not have the facility for all the help they needed. At the time Bob was doing contract engineering on tooling. The company he was working for was one of several that got contracts from Mattel to design the molds for toys and especially Hot Wheels. He didn’t think much of it at the time but there he was designing a multi-cavity tool for Classic 32 Ford Vicky toy number 6250. This was the first of about 24 different ones that he worked on. He was working in Fullerton Ca and would go into Mattel in Hawthorne Ca once a week to get approval on the drawings or changes that needed to be made. 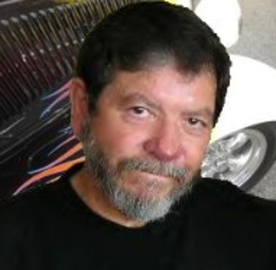 He would work with the engineers and designers that worked on Hot Wheels at the time and met some great people there. It was not too long after that he was hired to work at Mattel in Hawthorne. He started out working on Barbie accessories, preschool toys and Big Jim before he was assigned to the Hot Wheels group. 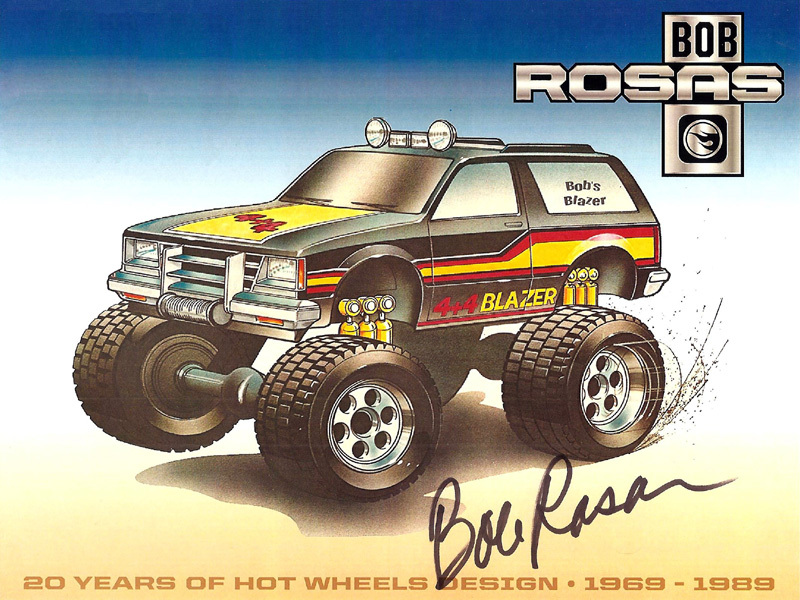 Bob’s first car he worked on was the Baja Bruiser whose concept was by Larry Wood. He continued working on the designs for hundreds of cars over the years. Eventually he Managed the engineering group for Hot Wheels and directed many people on cars and sets until he left Mattel in 1988. During those years some his biggest endeavors was his involvement in the beginnings of the tampo printing process. Some of the other projects were Thundershift 500, Machine Paks, Thrill Drivers Corkscrew, Mean Machines (Motorcycles), The Collectors Patch series, The Heroes, Scene Machines, Spiderman’s “Web of Terror”, Scorchers, The collector books from 1981 and 1982, Steering rigs, Steering Rig Cabs, Sto and Go’s, Mega Force, Truck Company, Shift Kickers, Power Devils, Ultra Hots. Real Riders, Metal flake paints, Crack-Ups, Zap ‘N Go, XV Racers and many others. Bob worked for many years very closely with Larry Wood and one of their personal projects was to promote the idea that Mattel should make cars that appealed to an ever-growing collector market. Both became aware of the interest in collecting Hot Wheels by grown men and women probably as far back as the late 70’s. As a result of this he encouraged Mattel make more classic cars and models with the “real rider” tires. Bob was honored as a Die Cast Designer at the 2010 Diecast Hall of Fame ceremony in February 2010.